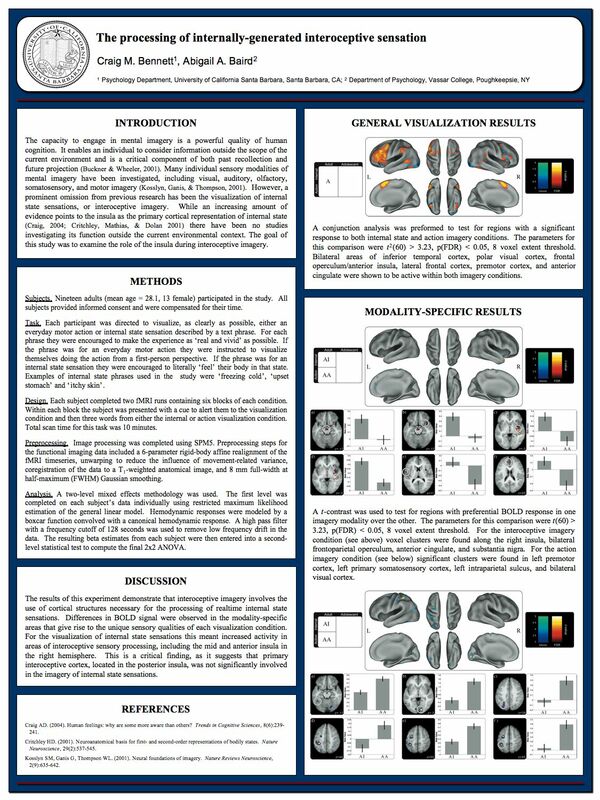 I want to thank everyone at the Human Brain Mapping conference for their excellent comments and insight on my research. I had an unbroken string of amazing conversations with researchers from around the world – it was a real treat. 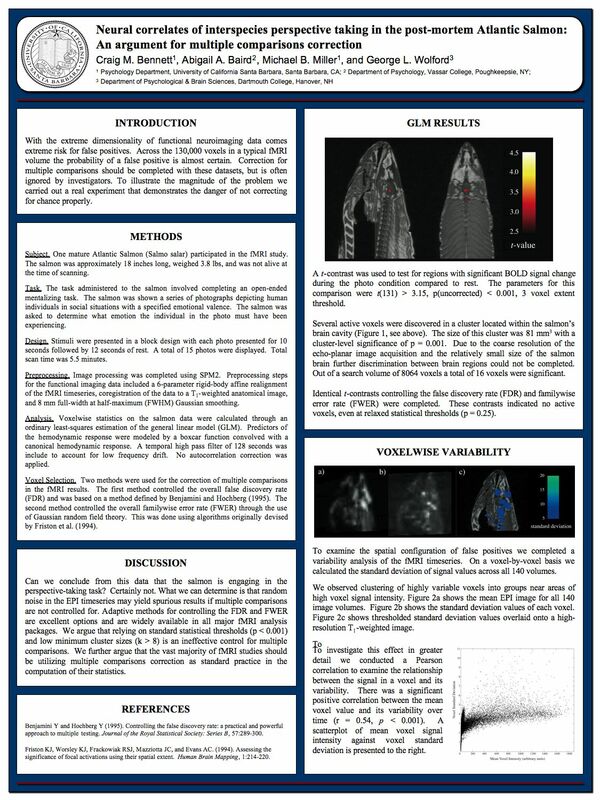 Below you will find copies of both posters that I presented at HBM along with a copy of the slides that I used in my presentation. If you have any questions or would like larger copies of the figures please let me know. I am concerned about the omission of important information from your poster entitled “Neural correlates of interspecies perspective taking in the post-mortem Atlantic Salmon: An argument for multiple comparisons correction”. Any good scientist would want to know the details of post-scan culinary post-processing of the subject and the hedonic results of degustation of the subject when studying a population of salmon, even with N=1. I would be very appreciative if you would make this information publicly available. Thanks! Fascinating.. Now, would you be willing to publish the raw data? What is the software that was used to do the post processing? This really makes the case for reproducible research.. This is so clever and hilarious. My psych lecturer mentioned it in passing when discussing the common problems with fMRI, and I just had to look it up. Thank you for the laugh, and for pointing out the implications of the multiple comparisons problem! !